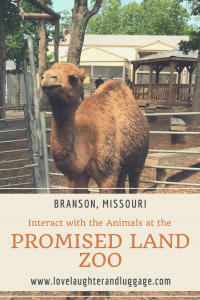 Thank you to Promised Land Zoo in Branson, Missouri, for sponsoring this post. As usual, all opinions are honest and my own. When you think of Branson, your first thought may be about country music shows or the beautiful Ozark scenery. While it does have great shows and gorgeous views, Branson also has plenty of fun attractions, especially for families. One great family attraction is the Promised Land Zoo. This private zoo is located on Shepherd of the Hills Expressway, an offshoot of the famous 76 Strip. Unlike many traditional zoos, The Promised Land Zoo offers many opportunities to interact one-on-one with the animals in a faith-based environment. The mission of the zoo is to teach others about the conservation of these animals through rescue and the breeding of animals facing endangerment or extinction. In July 2017, the zoo is expecting to open their large 64-acre expansion area giving visitors even more opportunities to interact with animals. If you are planning a trip, it’s the perfect time to go! Jeff, Kristin, and I decided to check out the Promised Land Zoo on a recent visit to Branson. We wanted to get to the zoo early, but we also needed to check out of our hotel since it was the last day of our little getaway. 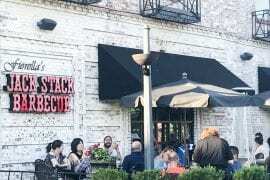 We managed to arrive at the about twenty minutes after opening. One of our best tips for attractions is to get there at opening if you can. 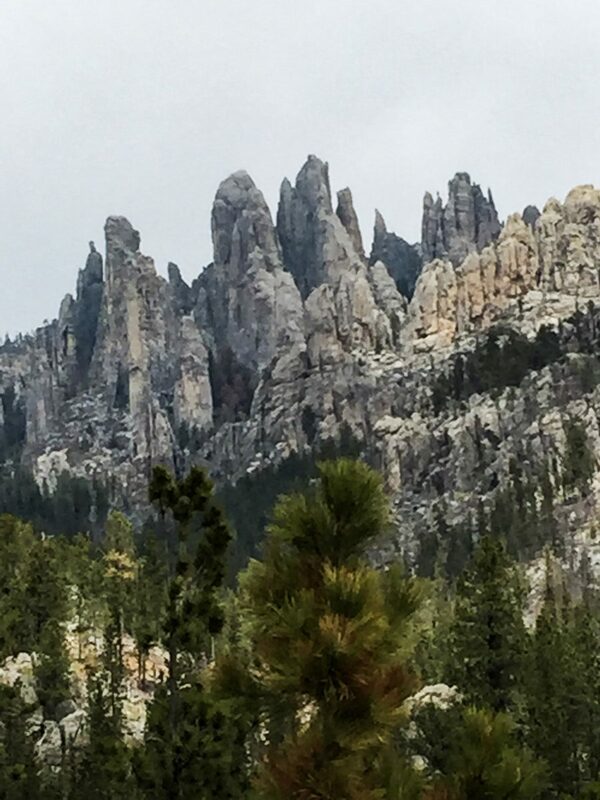 You’ll often beat the crowds, and in the summer, you’ll beat the temperatures at outdoor destinations. When you arrive, you’ll be able to park in the parking lot right in front of the entrance. The ticket booth is to the right of the “open” sign. Promised Land Zoo offers tiers of pricing based on what experiences you’d like to have. This would be my only criticism of the park. As you add experiences, the price gets higher. The basic ticket allows you to do the self-guided foot safari, feed the parakeets, and see animals up close in the Live Animal Show theater. You can also purchase a cup of food to feed some of the animals. If you add the VIP designation to your ticket, you get a VIP animal encounter, a guided tour of the foot safari, and an opportunity to bottle feed some of the baby animals. You can also add the VIP plus to your ticket to get an exclusive animal encounter, such as holding a sloth. The prices for these add up quickly, especially if you are bringing your whole family. In their defense, they are a private zoo which doesn’t receive any funding, so they do need to charge more than a typical city zoo to maintain their facilities and care for the animals. Just realize that it will cost your family more than most zoos, and the really special encounters begin with the VIP ticket. We did the VIP ticket. When we arrived, we were told that a guided foot safari would be beginning in about ten minutes. We also needed to sign up for our VIP encounter. After we selected a VIP encounter time, we saw some of our first animals at the park, which included this sloth. Like many families, we are fans of the Disney movie Zootopia. My daughter loves Flash the sloth in that movie, so she was excited to see this sloth. Jeff said, “Wow, they really do move that slow.” Yes, they do. The zoo was really clean, and you could tell the workers there loved their jobs and cared about the animals. The animals we encountered seemed happy and well-cared for. The animals also are looking to see if you have any food for them, so many of them come right up to you. It wasn’t long before our guided foot safari began. Here is our guide. She would also be our guide in our VIP encounter later. You do have to sign a waiver to do this guided tour and the VIP encounter. No big deal for us. We were ready! Our guide discussed the animals in the enclosures that are available for anyone in the zoo to see. She just gave us more information and answered any questions we had, which was nice. How many times have you been to a zoo and wondered about something not on the information sign? Here you can ask right away. We saw many cute animals including kangaroos, goats, deer, and lemurs. When we got to the lemurs, we were able to feed the raisins. The lemurs just take the raisins out of your hand. Their fingers felt kind of rubbery. So cool! After our tour, it was time to bottle feed the babies. You can bottle feed goats and calves, but we chose to feed the baby camel. Here is the baby camel after getting a full tummy. After the bottle feeding, our guided tour was over. We had some time before our VIP encounter was supposed to begin, so we walked around to see more of the animals not included in the tour, like a tiger, a lion, alligators, and prairie dogs. After looking over those animals, we decided to do the parakeet feeding. Everyone gets a stick with bird seed, no matter what level of ticket you purchase. You then go into the parakeet building and hold out your stick. You will soon make at least one parakeet friend! To get the full effect, here is a video. Kristin wasn’t too sure about holding her birdseed stick, but other kids seemed to love it. Sometimes birds were flying all over the place. It gets a little crazy in there! After we fed the parakeets, it was time for our VIP encounter. We were led into a little area with benches just off of the regular zoo. We had about 15 people in our group. Our guide told us that we were going to get to hold three animals. What fun! First, our guide and an assistant came out with two bags. What do you suppose was inside? No, it wasn’t snakes. Here is a video for the answer. Yes! Baby kangaroos! Everyone in the group got to hold one. The next animal was a lizard. We all got to hold it, too. The last animal was a cute little type of opossum from Australia. After we held our animals, we decided to catch a Live Animal Show in the little theater. During the show, a zookeeper brought out four different animals and invited children to come up for a closer look. Another zookeeper gave facts about the animals and patiently answered the children’s questions. This show happens several times throughout the day. After this show, we had seen everything. The zoo is smaller than many, but soon the expansion will open, so there will be even more opportunities to see even more animals. 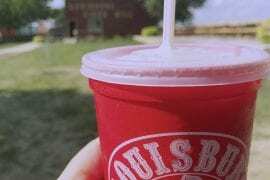 The owners currently have a drive-thru safari in Eagle Rock, Missouri. They said they plan to bring many of those animals to the Branson location. The new expansion will include a drive-thru experience, too. Overall, we enjoyed ourselves and loved the encounters with the animals. It is a little pricey for families, but many attractions in tourist areas, including Branson, are at the same price point. If you’re like our family, you will just need to plan and budget for the things you really want to do on your trip. If you have some animal-lovers in your family, they will love Branson’s Promised Land Zoo! Enjoy this post? Pin it to Pinterest! I’ve always wondered if this zoo was worth a trip. Great review! Thank you! Thank you for all of the wonderful information, pictures and even videos!! I didn’t even know that place existed but I am now going to make plans to take my kids before school starts. Very helpful review!! Thanks for reading! I appreciate it! I am so excited to share my family's adventures with you! If you are looking for a destination to make memories with your family, you've come to the right place. I hope our experiences can help you decide if a destination is right for your family! Click here to learn how to start your own blog! I’ve finished reading the debut young adult novel of playwright Don Zolidis! I’ve also just finished a review, and I know you’re going to want a copy of this. Click below to purchase yours! Love, Laughter, and Luggage is a participant in the Amazon Services LLC Associates Program, an affiliate advertising program designed to provide a means for us to earn fees by linking to Amazon.com and affiliated sites. Copyright © 2017 Love, Laughterr, and Luggage. All rights reserved. Designed by ThemeSphere.